MTN South Africa has cut out-of-bundle data rates to 29c/MB for the poor and all other users will in future pay a maximum of 60c/MB, provided they opt in. The reductions offer savings of up to 80%, MTN said. The first of two new pricing tiers will see customers who use 5MB or less of out-of-bundle data a month pay 29c/MB for that data. “We see that lower-income users tend to use data for simple messaging, using over-the-top platforms such as WhatsApp, and that usage is often below 5MB/month,” said MTN South Africa CEO Godfrey Motsa. The 29c pricing will be offered to all customers who have consistently used 5MB or less per month for three consecutive months. Should these customers use more than 5MB of out-of-bundle data, they will be charged 60c/MB for the remainder of the month. Customers eligible for the new 60c/MB out-of-bundle rate (in other words, those using more than 5MB/month) must opt in to benefit from the lower rate using the USSD code *130*1#. The lower rates are effective from Friday, 1 December. Some customers who have not moved off older packages will see their out-of-bundle rate fall from R2/MB to 60c. Motsa said the opt-in process is once-off, after which customers will never be charged more than 60c/MB. The opt-in mechanism is needed to ensure all customers have consented to the new 60c pricing, he explained. Meanwhile, MTN has also launched a new, lower-priced 1GB data bundle on promotion (meaning it’s not a permanent tariff filed with communications regulator Icasa). The 1GB bundle will cost R50, down from the R160 MTN has charged for 1GB in the past. The bundle is available exclusively through the MyMTN smartphone app. “We have made these data pricing reductions despite the spectrum crunch that continues to hamper our industry, but there is absolutely no doubt that the release of spectrum will allow us to continue dropping the price of data,” Motsa said. He called on telecommunications & postal services minister Siyabonga Cwele to release spectrum to the mobile operators as soon as possible. 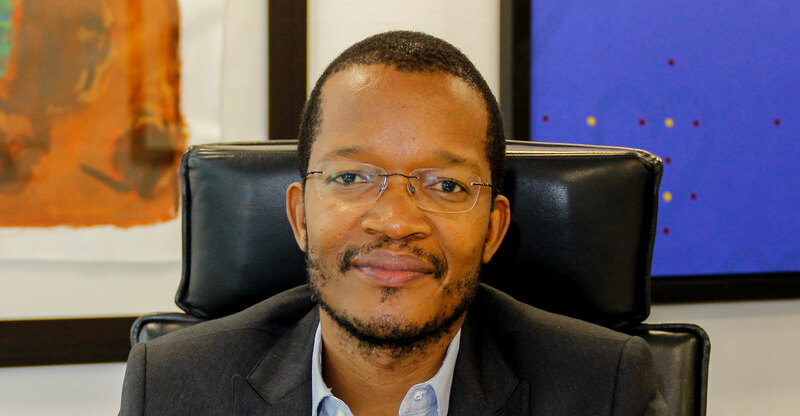 Motsa has been highly critical of the telecoms department’s Electronic Communications Amendment Bill, which was approved by cabinet earlier in November. This proposed legislation, to govern the ICT sector in South Africa, raises “extensive and significant” risks for the industry. Or you could just use CellC at 15c/MB out-of-bundle, no strings attached. Or even more so, you could just use Afrihost at 10c/MB out-of-bundle, no strings attached. Die, MTN, die. Greedy scumbags. Why do people have to opt in to get lesser priced data?! That’s pathetic. And MTN on its own takes people’s data so there’s no way anyone can use less than 5mb a month(x 3 = 15mb), WhatsApp on top of that. As for 1GB, most people are used to using USSD not apps, it would have been nice also for them to have the option there too. Hahaha! “opt in” “less than 5mb” “more than 5mb” “3 consecutive months” “promotion” etc etc. Ha ha ha ha, and these guys get paid a fortune in salaries, bonuses and severence payments for limited knowledge of their market and bum deals – what a joke! Seems to me MTN is bent on maintaining the digital divide by only allowing 5mb for ‘lower income users’. How is this going to help any underprivileged learner enhance their learning and improve their lot in life, for instance?